Welcome to the United Nations Legal Committee! We are very excited to be chairing a committee with a focus on two interesting modern legal topics, drone warfare and cyber espionage. These two topics have seen a lot of debate in society over the past few years, and we look forward to seeing the solutions to these problems that you bring to the committee when GSMUN begins. However, first we must take care of a few formalities. Brennan Burns, your chair, is a junior at Maggie L. Walker and has participated in GSMUN as a delegate, volunteer, crisis team member, and now, chair. He is very excited to continue helping at GSMUN and doing his best to make the conference a great experience. 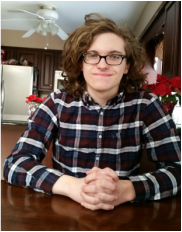 Besides helping with GSMUN, Brennan also runs on the school’s Cross Country team, and participates in a number of other school clubs such as Future Problem Solvers and the GSMA. Brennan also enjoys playing the bass guitar, pen and paper role playing games, and long walks on the beach. Ana Murias, your second chair, is also a junior at Maggie L. Walker and has participated in GSMUN as a delegate, volunteer, vice-chair, and now chair. She’s eager to get to know everyone and hear all the great ideas the delegates have come up with! Besides participating in Model UN, Ana runs on the school’s Cross Country Team, and participates in clubs such as EduPAC, Debate, and Spanish Club. When she’s not busy doing homework, Ana enjoys watching T.V shows such as Gossip Girl and One Tree Hill, baking delicious goods, and taking fun Buzzfeed quizzes. This year’s GSMUN will surely be an exciting event for many of you, and we look forward to seeing you debate two very important topics that could have vast ramifications for the future. Wetrust that you will be able to bring high quality ideas to the conference that will help you to address these topics in a way that will benefit the country you represent. In fact, in order to ensure that you come ready to the debate knowing your countries positions, you are required to write a position paper about your country’s positions on drone warfare and cyber espionage. It is to be emailed to the dais before the conference or turned in physically at the first committee session..Keep in mind that your paper must be original work; plagiarism is unacceptable and will result in disciplinary actions by the Secretariat. Please email us with any questions about content or format! We promise that it will be relatively painless, and look forward to seeing you at GSMUN. Brennan Burns is a junior at Maggie L. Walker and has been helping out at GSMUN for all 3 years he has been there. Last year he was the crisis team member for two committees, Facebook Board of Directors and Bretton Woods. He attended GSMUN when he was in Middle School, and is proud of being able to help create the best experience possible at an event he previously enjoyed. Besides Model UN, Brennan runs on the Maggie Walker Cross Country team, and also participates in the Maggie Walker GSMA. He enthusiastically looks forward to chairing your debate on the exciting topics of Drone Warfare and Cyber Espionage at the conference. Ana Murias, also a junior at Maggie Walker Governor’s School, still has fond memories of her first GSMUN in 7th grade and wants to ensure that everyone enjoys it as much as she did. The past three years at Maggie Walker, she has been a volunteer, vice-chair for Mexican Revolution, and now chair for Legal. 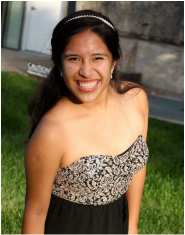 In addition to participating in the school’s Model UN Club, Ana is also runs Cross Country and participates in the school’s EduPAC and Spanish clubs. Whenever she has some free time or wants to procrastinate some more on homework, Ana enjoys watching TV shows like Gossip Girl and One Tree Hill, baking some yummy goods, and taking Buzzfeed quizzes. She can’t wait to meet all of the delegates and see what great ideas they have and urges them to contact any of the chairs if they have any questions at all!